As the mercury rose in the UK, winter themes were the basis of new promotions by both Disney and Starbucks. Disney on Ice turned Cavendish Square into a winter land to promote the upcoming live performance of Frozen, which will begin in October. The stunt was carried out exactly 41 years to the day that it last snowed in London during summer - 2 June 1975. Instinct PR pitched the idea to FELD Entertainment, which owns the rights to Disney On Ice. The agency signed former popstar, mother-of-two and Disney on Ice fan Michelle Heaton to be the tour’s ambassador. Instinct also arranged for a group of 20 children from Variety, the Children's Charity, to make snow angels, build snowmen and meet some of the stars of the show. Meanwhile, Starbucks marked the launch of its chilled Caffe Americano milk drink by entertaining commuters at Waterloo station with a giant ice sculpture installation. Caffe Americano cups were dispensed on 3 June and commuters were encourage to use the hashtag #chilledclassics. The interactive experience was brought to life via work from four agencies: Oliver Marketing handled the creative and Fuse Sport + Entertainment was responsible for activation and installation. The media agency was Manning Gottlieb OMD and 3 Monkeys Zeno handled PR. 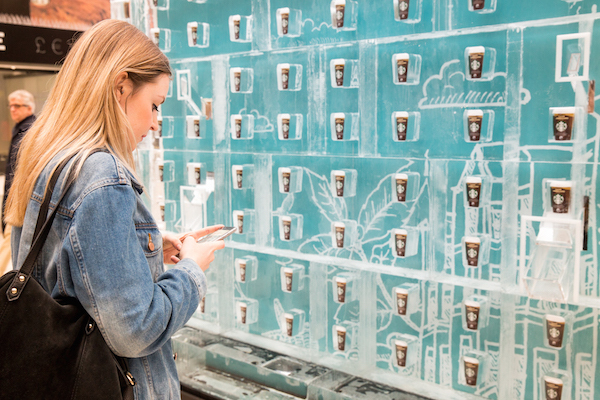 The experiential event is part of a wider summer campaign for Starbucks Chilled Classics, which will be supported by a series of partnerships and prominent digital and print advertising campaigns. There are plans to have multiple Metro placements, a cover wrap and digital adverts as well as geo-targeted mobile media. An upcoming partnership between Starbucks and ASOS will include bespoke content being promoted on a specially created hub and pushed across social media channels. A tie-up with Stylist will include a panel of experts coming together in a series of articles, online content and event-based workshops.